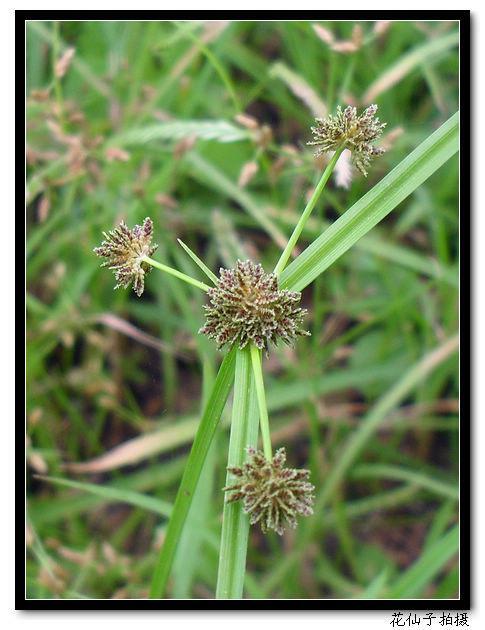 The drug is the dricd or fresh entire herb of Cyperus difformis L. (family Cyperaceae), growing along paddy fields or swamps, and distributed in Northeast China and Shanxi, Hebei, Shaanxi, Gansu, Jiangsu, Anhui, Zhejiang, Fujian, Hubei, Guangdong, Guangxi, Sichuan, Yunnan of China. Salty, slightly bitter, cool; heart, liver, lung and bladder meridians entered. It is used to promote the flow ofqi, activate blood circulation, relieve dysuria and promote diuresis; for the treatment of dysuria with urethral pain, traumatic injuries, hematemesis. Decoct 9~15 g, or 30~60 g of the fresh.